Do you remember a while back when I told you about the Hands2Help Charity Quilt Challenge? And that Because You Matter Quilts for Kids is this years Canadian recipient? It’s in this blog post here if you want to refresh your memory. Well, the first quilts have arrived! It’s absolutely thrilling!!! And a pretty string quilt for a little girl. Hand tied! And the back of this little quilt is so sweet, too! Together, we can be the change that we want to see in the world! Now! I`m off to pack up the camper. We`re traveling North to the Yukon for a few weeks to spend some time in our little Fox Lake cabin. 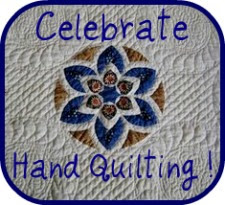 This entry was posted in Because you Matter, Charity, Quilts and tagged Hands2Help, Hands2Help Charity Quilt. Bookmark the permalink. 2 Responses to Two more Because you Matter quilts! HOw exciting to recieve support for your charity!! And oh do enjoy your time at the cabin….I can imagine how peaceful that it!! I love your quilts, and so will two little ones. How sweet that you made these so cute!